Roses Are Blue have won the Rose d'Or in the Reality and Factual category for MIPCOM 2018 launch, Down the Road. An experienced television host is in for his biggest adventure yet: a road trip through seven countries with six young adults who have Down syndrome. Everyone making this trip is experiencing a crossroads in their life. Some of them want to prove they are independent enough to be on their own, and others just want to find new friends and maybe even love. 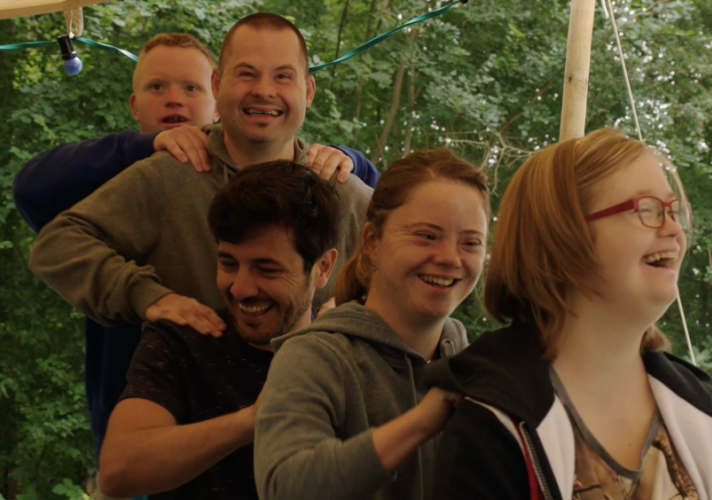 Together they go on a once in a lifetime journey that affords the viewer the opportunity to see these special needs adults face extraordinary challenges and witness the universal emotions and obstacles they confront in their daily lives. Along with our host, the group travels the world conquering unique challenges. Moving past any specific label or cultural stigma, our guests explore themselves and push their own limits, searching, as we all are, for validation and fulfillment in their own lives. ‘Crossroads’ is a new documentary series, packed with heartwarming moments. An uplifting tale that celebrates honesty and diversity. Launched on VRT (één) on 28th February 2018, Cross Road, 8x45. PROUD TO BE BELGIAN, YES WE ARE!